Being a cord cutter is better than ever these days, thanks to a huge number of streaming services available to the average user. But we cord cutters still have one mortal enemy: the content blackout. TV revenues still rule decision-making for a lot of companies, so even the best streaming services often black out content that is available on local broadcasts. Take MLB.tv, for instance: it's the very best of the major sports league streaming services, but it still won't let you watch local broadcasts. When I lived in New York City, all broadcasts of my beloved Mets were completely unavailable through MLB.tv. Now that I live far away, I can watch every game through the service. It's frustrating, but it's not going to be changing anytime soon. MLB wants their teams to be able to make big bucks off of local cable broadcasts. The NBA, NHL, and even MLS all do the same thing for the same reason. And it's not just sports – Netflix and Hulu change their libraries based on where they think you are. A foreign IP could give you a whole new selection on Netflix or Hulu, while your current IP maybe blocking you from seeing your favorite films. There is, however, one way around blackouts like these. If you use a VPN, you can swap out your IP address for one that tricks these services into thinking you live somewhere else. VPNs are useful for protecting your privacy, of course, but they're also a big help to cord cutters! Not sure how to use a VPN? Just follow our step-by-step guide. We'll use a service called IPVanish in this how-to, but the general idea works with any of the many VPN providers. Let's get started! Sorry, but we have to start with a quick disclaimer. There are plenty of legitimate uses for a VPN, but if you use it to access blacked-out content, you could be violating the terms of your agreement with your streaming service of choice. The services we mentioned above haven't cracked down on VPN users extensively, but it's always possible. We're going to use IPVanish for this, because we're fans of their particular product. Head over to their website and create a username and a paid account. Their service is pretty affordable, and they have a no-questions-asked money-back guarantee. You'll need to run a program locally on your computer in order to create a VPN (which is one of many reasons that you'll want to use a trustworthy VPN client). Go ahead and download the VPN software of your choice to your computer. Let's start things off, shall we? 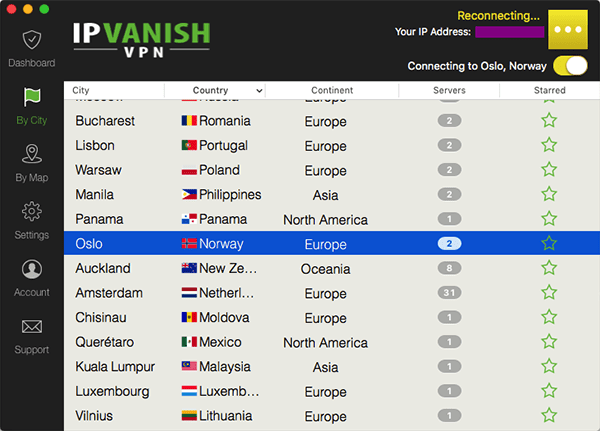 A good VPN program like IPVanish is going to make things very easy from here on out. Find the downloaded file and install it just like you would with any other program. Open it up and log in using the credentials you created. IPVanish lets you choose your new IP location from a list. You can also use a map, set favorites, and more. The screenshot above is from IPVanish, but you'll see similar options with any legitimate IP service. You'll be able to hide your real IP and browse the Internet with another one, which can come from anyplace in the world that your VPN offers. In the chase, of IPVanish, all you have to do is select a location from the list (or from the map) and hit the connect button in the upper right. That's it! So there you have it – you're now browsing the Internet with a whole new anonymous IP. So what can you do with that? Try foreign content libraries. Most streaming services offer different content in different places. In most cases, you can use your same login information and access new content by using IPs from places like Canada, Europe, or the United States (if you're not already living here). Be safe on the Internet. 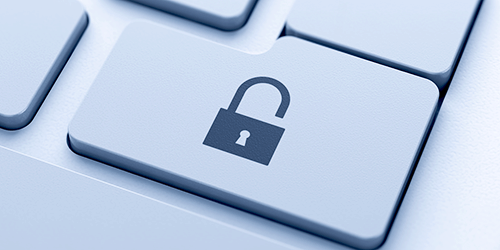 We mentioned earlier that VPNs have benefits that go beyond content streaming. VPNs are great for Internet security. You'll be better protected from identity theft and other online dangers when you're covering your tracks with a VPN. I agree IPVanish is good in terms of speed, I have always enjoyed streaming on VODs via IPVanish, and recently for my professional/corporate use, I have a different subscription for privacy and security, “PureVPN”, so both good in their own ways.